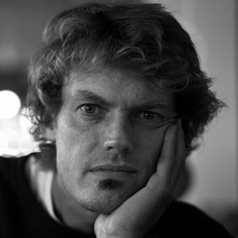 Mark de Rond is Professor of Organisational Ethnography at Cambridge Judge Business School, Cambridge University. His latest book, Doctors at War: Life and Death in a Field Hospital, was published in April 2017 by Cornell University Press. Mark's unique fieldwork and teaching approach involves studying people by living with them under similar conditions, to try and understand how we experience, organise, and think about our world. Mark's fieldwork has included long stints with war surgeons in Afghanistan, elite rowers in Cambridge, biochemists in Oxford, and comedians in London. His most recent project involved rowing the length of the Amazon river so as to learn, first-hand, how collaboration unfolds, and how problems are solved, under trying conditions. Subject-wise, his research focuses specifically on: (1) the experience of being human in collaborative high-performance environments; (2) the means by which teams solve problems collectively; and (3) the causal explanations people give of why things are as they are and not otherwise. His work has fostered an eclectic portfolio of executive education clients, including several 'magic circle' law firms, IBM, McKinsey, KPMG, PWC, Shell, OfCom, Stephenson Harwood, Herbert Smith, Lloyds-TSB, Diageo, Rolls Royce, and BT among many others. He received training in mediation and negotiation at Harvard Law School, is part of the University mediation team, and holds advanced degrees in management and economics, photojournalism and documentary photography. His research has featured widely in the press, including in The Economist, TIME magazine, The Financial Times, The Times, The Sunday Times, The Guardian, The Week, Der Spiegel, The Los Angeles Times, The Evening Standard, The Wall Street Journal, and on the BBC. His photographs have been published in The Independent, The Daily Mail, The Daily Telegraph and by the BBC News.